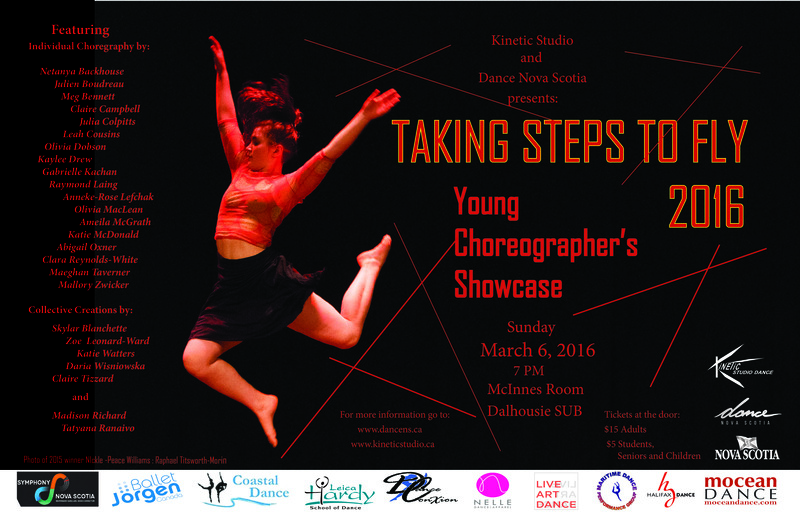 TAKING STEPS TO FLY IS A COMPETITION/SHOWCASE FOR YOUNG CHOREOGRAPHERS. 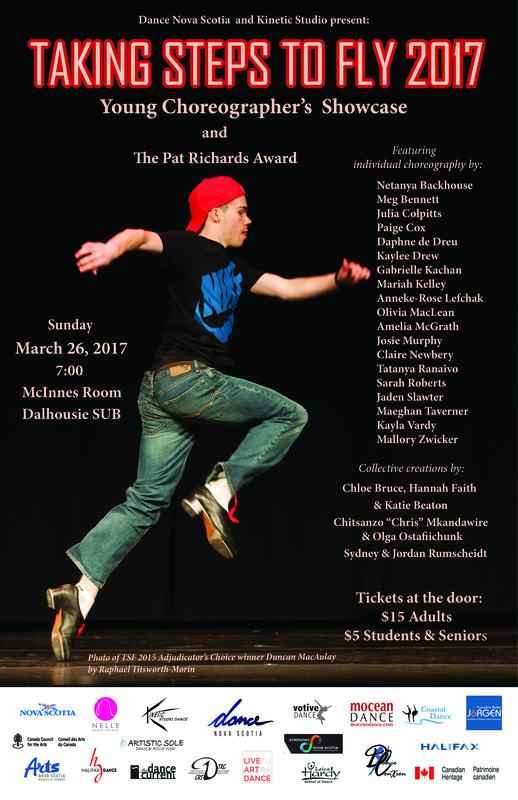 IT IS A JOINT PROJECT OF DANCE NOVA SCOTIA AND KINETIC STUDIO AND IS THE ONLY LOCAL COMPETITION THAT HAS BEEN CREATED SPECIFICALLY FOR YOUNG CHOREOGRAPHERS. Encouragement and growth of our young choreographic voices is important for the survival of dance. 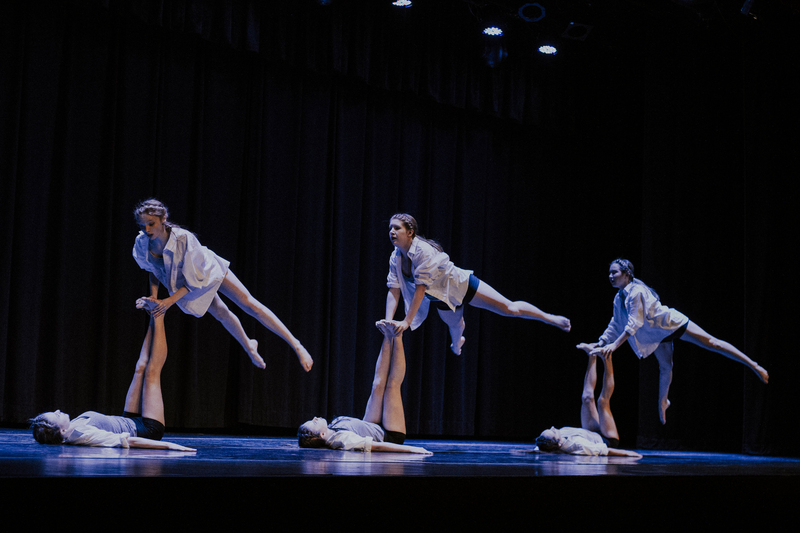 Dance students are encouraged to create a work in any dance form. The work can be choreographed by one person or by a collective and can be a solo or group performance. 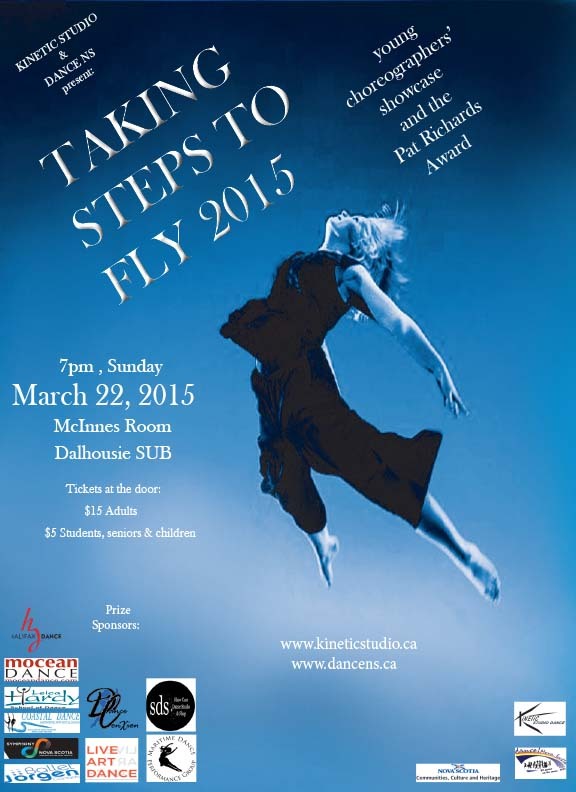 THE FINAL SHOWCASE FOR TAKING STEPS TO FLY takes place each March. Keep checking in here for upcoming details on this year's competition and along with some exciting additions. The winners in the first two categories are given gift packages filled with tickets to local dance shows and school performances plus dancewear certificates. The Collective Creation winners get to spend a day with members of Mocean Dance where they will work on the choreographic process. Dance NS would like to give a huge thank you to the businesses who contributed to event each year As well, we would like to give a shout out to the professional dance community who continue to give their time and energy to mentor and guide these young choreographers. In 2017, we initiated a Mentorship program. This allows any choreographer who wishes, to work with a mentor from the dance community, who will help them with structure and content. We thank our local professional dance community who have been offering their time to volunteer as well as give mentorship time to some of the choreographers. 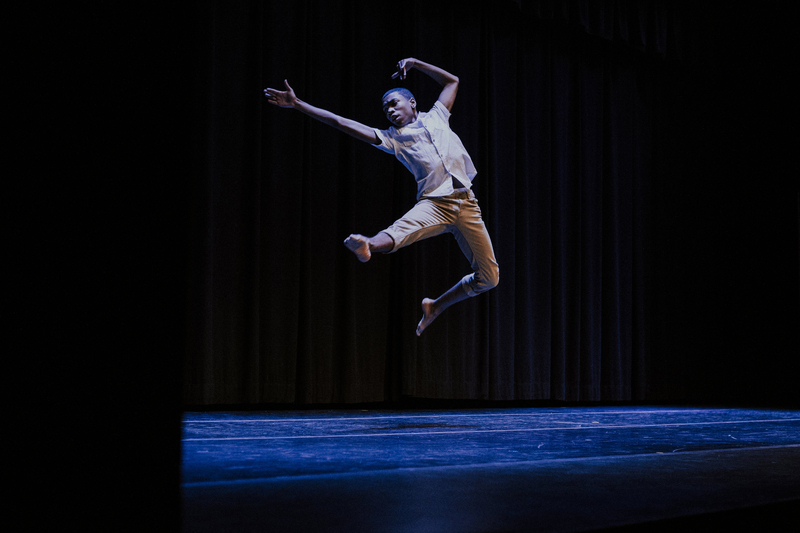 In 2018, we began a partnership with the dance department at Townson University in Maryland. Dancers from their graduating classes offer mentorship time with any student.